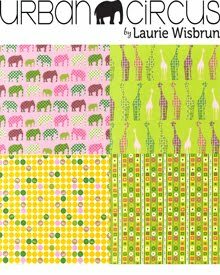 Laurie Wisbrun | Scarlet Fig: Giveaway | Who wants some Roughing It fabric? Lookie at what I made for my kitchen. 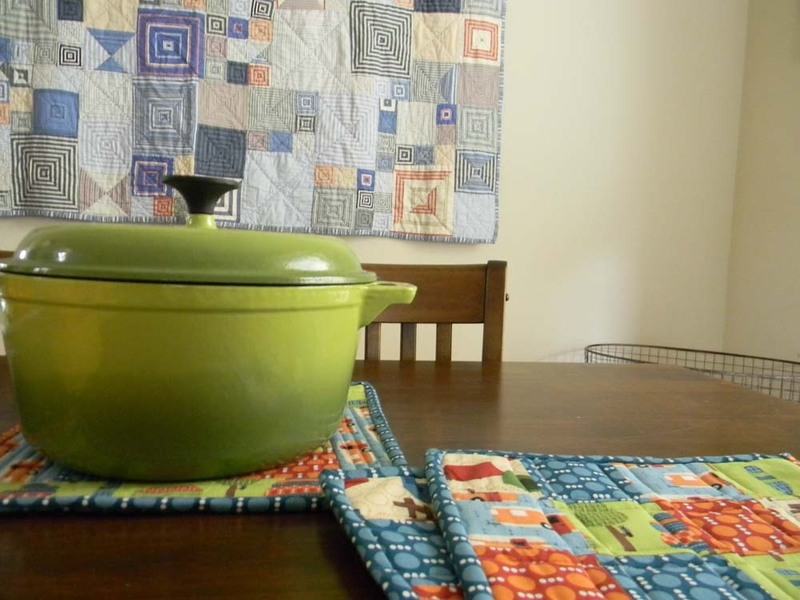 Potholders and a trivet from Roughing It. I really love to camp (and cook around the campfire), so it seemed like a fitting choice for my project. And the colors are just perfect for a Thanksgiving table. I'm just tickled with the way they turned out. My favorite cast iron skillet is a perfect match too! For more details (and links to the tutorials I used), hop over to Craftstorming where Laura has a bunch of fun cooking/baking themed posts as part of her Sew Yummy series. 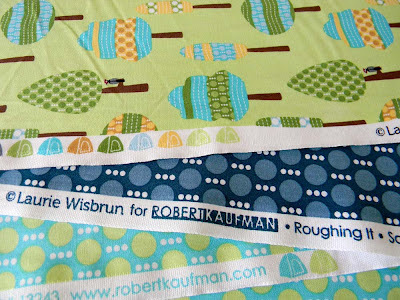 Roughing It is one of two of my new collections for Robert Kaufman Fabrics that start shipping this December. So if you'd like the chance to get some on your sewing table early, just leave me a comment here before the 12th of October. I'd love to hear about your favorite camping recipe or tradition if you have one. And if not, just let me know what you might make with Roughing It. Can't wait to read your stories! 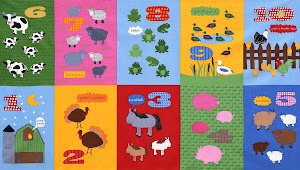 The winner will get a full FQ set of the quilting cottons. As always, made sure I have a way to contact you. Good luck! I haven't been camping since girl guilds a very long time ago, but my favourite "recipe" was simple marshmellows on a stick over the fire; yum. Btw, that fabric is gorgeous! Never been camping in my life but that fabric is absolutely delightful. We camped this summer for the first time in 4 years due to the size of the children, so with a 2, 5 and 7 year old we braved it with friends and it was..wet and muddy! But wonderful to come home and appreciate our home and my bed! Awesome fabric, I would love to sew up some accessories for the children for our next trip, maybe special pillowcases for camping. We used to camp when I was little. We spent several holidays in Hungary, Balaton. It was always fun for me and my brother. It is many years since when I went camping - we went bush camping - no amenities. Usually there would be a beach down the road where there would be an outside shower - cold water only - buit at least a shower. 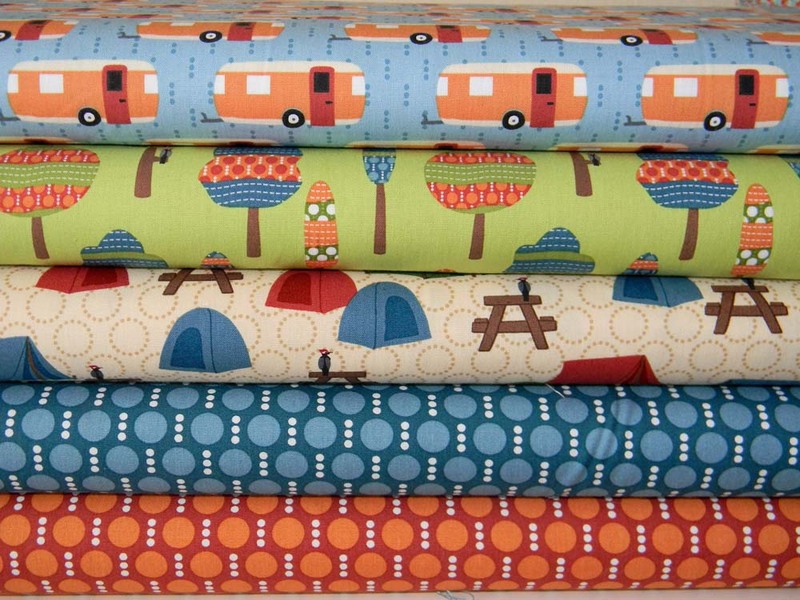 my sons love camping so I would most likely use the fabric for something for them. I recently used Brrr to make an advent calendar and I adore your designs! Thanks for the give away! There is an amazing waterfall/swimming area near where my family used to always camp. It's not all that well known either - which was definitely a bonus. 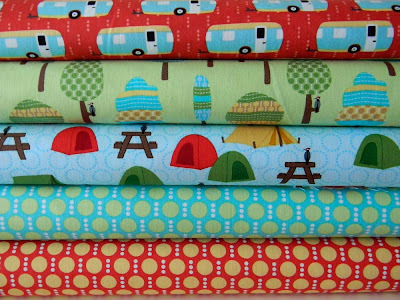 My camping tradition is to "just say no", but if I had an adorable camper like your fabric - I might give it a try. The darker blues in this fabric is absolutely my favorite and the tents on the selvage... well, I really need them!!! Great, great job! 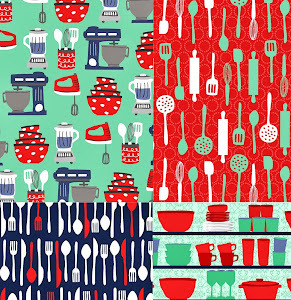 I always look forward to your fabric lines and you never disappoint. Thanks for the chance to win! We go camping every weekend ;) we stay at a lake and have wonderful times. 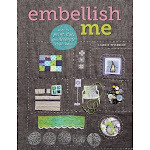 I am such a huge fan of your fabrics!!! I haven't been camping since I was at school. My other half has to camp a lot for his job and therefore has banned us from recreational camping - which I'm kind of relieved about! 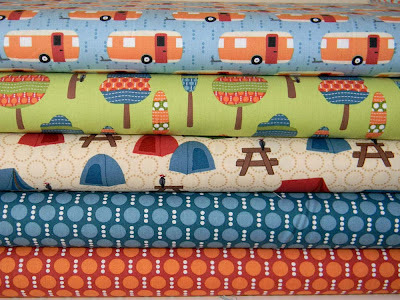 My idea of camping is a big fifth wheel with all the comforts of home:) Love the fabrics! I have never been camping! I find that funny since I love the outdoors! I love the potholders, right now I only have crocheted potholders. I think it is time for some fabric ones! Those woodpeckers are adorable, we have plenty of those in my yard. Those campers are too adorable! My family has never been into camping. But my mom loves the look of those vintage campers! This would make the most adorable pj's for a little one! Or even a quilt of course. Not a huge camping fan, but with a husband that use to do it annually and 2 boys that love the outdoors, I know it's bound to be something I will learn to love. So with that I HOPE to build some camping memories with them in the future! I'm not sure what I would make...something for my little boy. This fabric has just made it onto my favorites list. I would have to make something for my little boy due in Feb. Such cute fabric! This is such a cute line! We don't get to go camping much, but we have an old tin washtub in the backyard where we like to build a fire and roast marshmallows for s'mores. Mmmmm. Thanks for the chance. We really enjoy making bagged food on the fire. We take heavy duty tinfoil, add chopped potatoes and carrots, add raw ground beef and season with salt, pepper and some Mrs. Dash (or other seasonings). Then seal shut and put on the hot coals. Cook on each side for about 25 to 30 minutes. Each bag should be individual meal portions. out camping because it is so easy. Put turkey in bbq...go to beach. smallish one work best and so easy!) All the best. Our tradition isn't very "rough", but my kids like to make "can-cakes" om the griddle, using Batter Blaster, a pancake batter in an aerosol can like whipped cream. 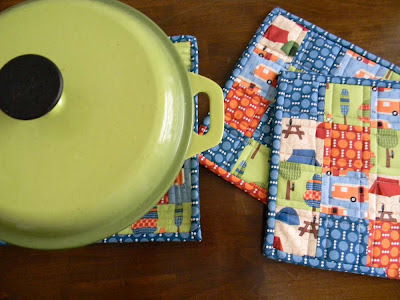 One of my sons love camping and really roughing it, he just moved out and I love to make these pot holders for him and of course for my self, loving all the colors, they're adorable, thank you for the opportunity.My email is ncagla@yahoo.com. SO CUTE! I love the wee little campers! My husband would go nuts over this line because he's obsessed with Alaska/the wilderness and recently grew a beard because he fancies himself a mountain man, lol! Don't have any good camping stories because my parents were total indoor people :( Thanks for the giveaway - I'd love to win so I could make the hubs a quilt with this! Camped for the very 1st time this summer. Was so excited at the prospect of peaceful nights by firelight & a joyful family outing. Kids LOVED it, hubby was happy as ever, i went home after the 1st night. HA! Very cute collection, Laurie. My kids would love it. At my house we LOVE going camping, when I first saw this collection I immediately thought of little sleeping bags for my kiddos! We love to sit by the camp fire at night and roast hot dogs and marshmellows! I can tell you my favorite camping experience was when, as a 16 year old girl, our family was invited to go along with leaders of a BOY scout camp in Kern County California for a camping weekend. I was the only girl in a sea of boys and it was a blast. Well my husband hates camping, so we never get to go :( kids and i are thinking of braving it on our own next summer! Lol! 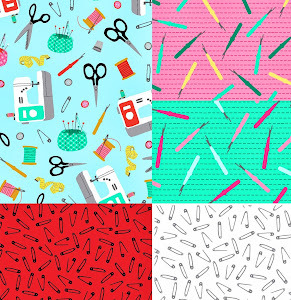 I would make a fun boys quilt with these, ooh and a pillow case!...or a beach bag! They're so cute! We always camped as kids..in a family of 6 kids, it was what my parents could afford. But looking back, those trips hold the most precious memories! Lovely fabric! Although my family did do some camping while I was growing up, I am definitely not a camper. Staying at a Motel 6 is about as close as I care to get. That said, I still love your fabric! Favorite camping trip story belongs to my husband and two of our three sons. He was Scoutmaster and they were camping nearby in the mountains. Everything was going great until about 2am when the Sheriffs stopped by, woke everyone up, and announced that they were searching the area for a man that had murdered two people in a nearby town the day before. My hubby asked what they should do to be prepared if they chose to stay. The Sheriff replied, "Do you have a gun?" Which my hubby ansered, "Yes." And the Sheriff said, "Load it!" Thankfully the group chose to come home and finish the trip in my basement. My family camped when I was younger, but I mostly remember the bad parts like getting soaking wet because the tent wasn't waterproof or it leaked, not being able to shower, having bears eat our food, being too cold or too hot, etc. I like the idea of camping, but I think I'm a hotel/or at least cabin with plumbing kind of girl. 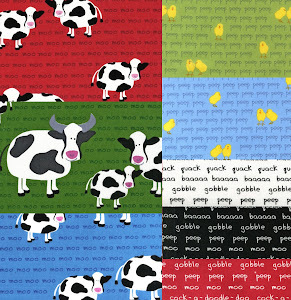 I would love to use this fabric to make my expecting friend some baby gifts...like peepee teepees and burp cloths. I love to camp and have since I was small w/ my family. I loved picking blueberries in the woods and my dad making blueberry pancakes on our little coleman stove - the blue dot fabric reminds me so much of that! I would make some placemats for my dad - to remind him of those good times! he is 83 and would love it! 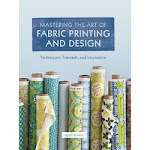 thanks for the chance to win and congrats on another great line of fabric! When we camp, one of my easy go to meals is Fajitas. I make either beef or chicken. Usually cut up the meat before we go, freeze it with the spices and then let it thaw when we want to eat and throw it on a hot cast iron skillet. Yummm. We haven't camped in years, but my fondest memories as a child and an adult is picking blackberries and making jam, in camp. We'd have blackberry jam all year. When I was in girl scouts, we made a yummy banana dessert over the fire. I don't remember all the ingredients, but we put bananas, chocolate chips, and marshmallows in tin foil and roasted them. Good memories! I'll make it into a little blanket for my son to sleep under when he "camps" in the living room! I love camping, too! I tell my hubs when we're planning a summer vacation: just take me camping. I can skip the fancy resorts and hotels. What to make with awhile fat quater bundle? 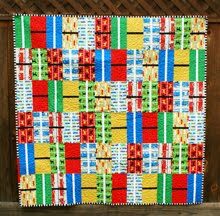 I was thinking about a apron and your cute potholders, but with that much fabric I think it has to be a quilt. A camping quilt. Perfect. We are big campers too! This summer my husband and I did our first backpacking trip together too and it was awesome. For car camping my favorite meal is hot dogs with baked beans and corn on the cob cooked right in the fire. Awwww... now I wish I was camping instead of at work! I love to camp with my kiddos. It's absolutely wonderful to unplug (no electronics) and unwind. What would I make? I'd love to make several sets of pot holders and put the rest in a cozy quilt. Adorable line. Thanks for the fun giveaway! My favorite camping food from childhood was a pudgie pie (I think many call these hobo pies). They are little individual pies made in these metal two handled contraptions - kind of like an individual sandwich maker. My favorite was always pizza! And for dessert, besides the classis s'mores, a banana boat - a banana slided lengthwise, still in its skin, with chocolate stuffed inside. Wrap it up in aluminum foil and place in the hot coals. Delicious!!! These are sweet. I have never been camping.......tried to sleep in a tent in the backyard when I was near 50, and got up and went into the house after about an hour on the ground ! I'm not gonna lie...we aren't campers, but we do like a little firepit for roasting marshmallows in the backyard. Those prints are so cute!!! HELLO! 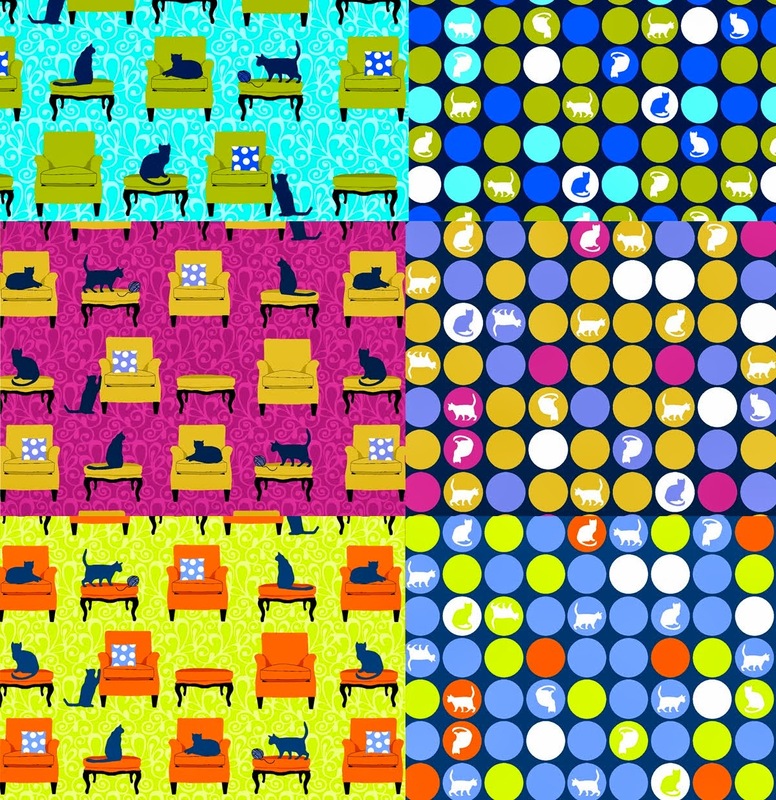 WE'VE CAMPED ALL OUR LIVES+THIS LOOKS LIKE SUCH NEAT GO-ALONG FABRICS FOR OUTDOORS! I don't camp at all, but when I've been around a fire I love to eat S'mores!! Thanks for the chance to win, love the fabric! Well, it's not really a tradition or recipe, but one time when we went camping with some people from church, someone brought shrimp along which we cooked over the fire. My dad told me to throw the shells into the fire, but knowing me I either didn't listen like a rebel, or didn't hear him (hearing impaired) but I somehow thought it would be a GREAT idea to throw them in the woods. Anyway, I fell asleep before the adults did, and my dad forgot to zip up the tent when I went in or something. Anyway, my dad told me a raccoon had waddled its way into the tent to sniff around for shrimp. I vaguely remember being semi-lucid and I remember petting a big furry animal that my mind told me was a housecat or a teddy bear or something. My dad said the raccoon seemed to be enjoying itself. So, I've petted a wild raccoon and lived to tell the tale. I was about 10 or 11 when this happened. My favorite part of camping? The shower when we get home. And the pat on my back I give myself for sucessfully hiding from my children my true feelings about spiders and dirt! I was a Girl Scout leader for a long time up until my girls were teenagers. It would have to be Smores, nothing better! Roast a marshmallow on a stick, Herseys chocolate, and 2 graham crackers, yummy! 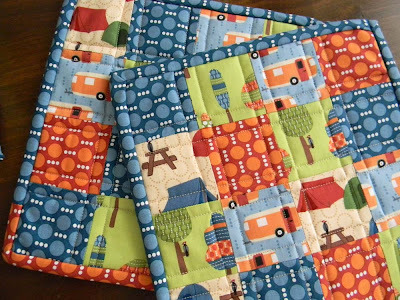 I would make a quilt for grandson to take RVing with his cousins. He would love it. The fabric is so cute! We camp regularly and a favourite treat is s'mores! 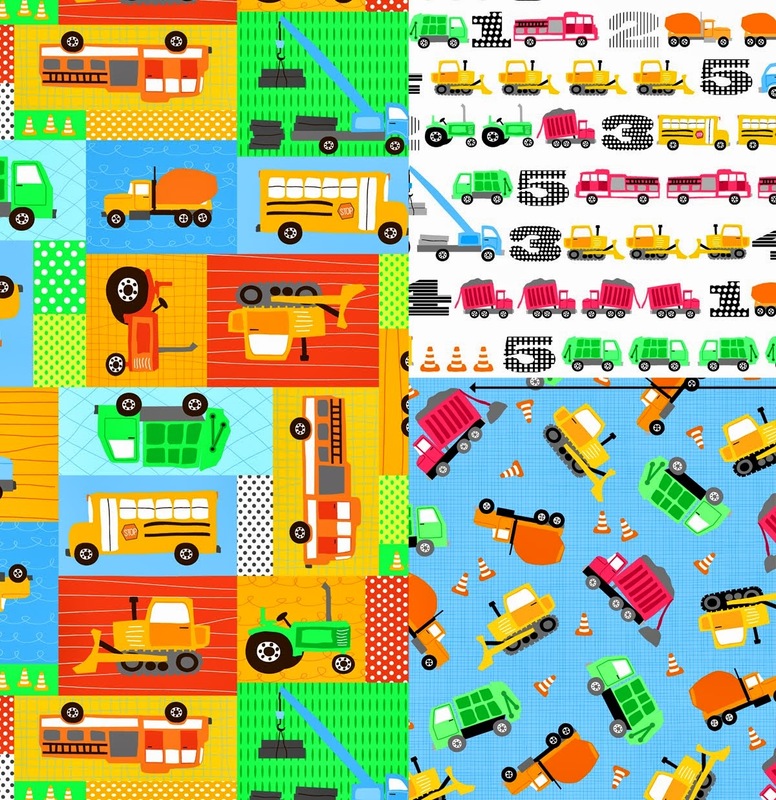 I think I'd make some patchwork pajamas with this fabulous fabric! Thanks for the chance to win it! I don't mind camping itself, but the best part for me is coming home and really appreciating hot running water and flush toilets! Your new fabric is really cute! I used to work at a camp years ago and my fav recipe was for a breakfast food. I don't recall all of the ingredients but the main ones were oats and honey. You cooked it in a pan and it came out super thick and delicious. Now that I think about it I'll have to ask one of my friends what it was called! 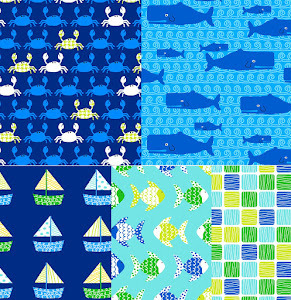 This fabric would make a perfect little boy quilt! 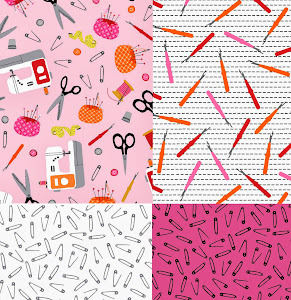 I can't wait for this fabric to come out! It would play beautifully with the other fabrics I have lined up to make a road-trip blanket for my husband and I to travel with. My favorite camping recipe actually came from my mom. Whenever we went camping when I was a kid she always made "Pocket Stew" which was a peice of tin foil and some frozen vegetables with some cut up beef, garlic salt and some golden mushroom soup that she would then fold up into a pocket and put them in the coals of the fire. Then we would just eat out of the "pockets" so we didn't need to bring any plates. And then we always had s'mores too, but I'm sure you don't need the recipe for that! :) Ahhh good times. My husband and I camp in Oregon every year and, instead of sleeping bags, we have a set of bedding used exclusively for camping and a quilt out of this fabric would be a fantastic addition. Thank you for the giveaway! My favorite camping recipe was always blueberry pancakes with bacon, that was on a short trip. On longer trips it was pancakes and spam. It sounds awful but tasted so good!! I tried to re-create that experience in college with the spam and it is most definately only something to be eaten in the woods. As a Girl Guide leader for more than 10 years, I have tons of traditions and recipes. One kid favourite is campfire spider dogs. Slice a hit dog in thin strips and roast over a fire. The strips curl up like spider legs. Best eaten wrapped in a flannel poncho singing campfire songs! Camping is something we've enjoyed doing as a family since our sons were little. We don't have a camping recipe that is a tradition... but it is a tradition to camp in a tent and seek off the beaten path campsites. 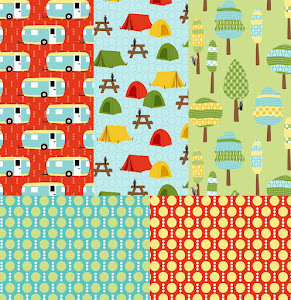 Your fabric is so delightful and brings happy camping memories to mind. Thanks for the chance to win some, Laurie! Gosh I haven;t been camping in years and years! We did a portage - 5 of us in 2 canoes --crazy! - and had a blast. We had one pot meals and really roughed it!! Fun times. I'm not much into camping unless you count hanging out at my cabin in the mountains. My middle daughter, on the other hand, is all about it. I bet she would love a quilt from this line. Thanks for sharing. I love those fabrics! I don't have a camping recipe or tradition to share - but my daughters really want to go soon so maybe next time you ask this question? 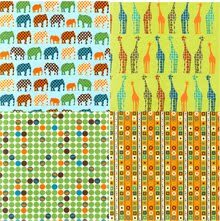 I would love to use these fabrics to make a baby quilt. Mmmm....just got me thinking about lemon chicken and rice cooked in the coals and now I want some! Love the fabric patterns. Delightful and full of color, just like a fall day! My husband loves to make his recipe of what he calls hamburger stew on the grill. He is very particular about his ingredients. He uses ground round, canned diced tomatoes, chopped onions, chopped potatoes, chopped red bell peppers, chopped carrots, and salt & pepper to taste. After mixing all of these ingredients, he places it on heavy duty aluminum foil and wraps it all up tightly sealed. The foil packet is placed directly on the grill. He can tell when it done by poking the foil, but he's made it so often that he knows how long it takes. It is very tasty, especially since I don't have to cook. 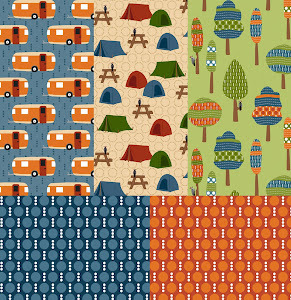 I love camping, which is why I love these fabrics, but my husband does not enjoy camping. As a child his mom was his Cub Scout leader and he would cry to go home at camp. So, he makes the hamburger stew at home. It reminds me of a dish we would make at Girl Scout camp. I don't camp...every time I try it rains. Monsoon type rain. So, for me, your collection is missing the umbrellas that had to come on camping trips...... 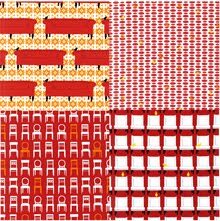 I love the table linens, but, these colors scream quilt to me. I do NOT camp. Maybe if I had a camper with a bathroom in it haha. But my sister and her family camp all the time. So if I won, I'd definitely use it to make them something cool. We go camping every year as a family, and we always try a new dish in the dutch oven. Everything we have ever made has turned out delicious! I honestly haven't been camping since I was a child, but I feel like living in this apartment in the winter is close to roughing it. There is no insulation in the walls, and my downstairs neighbors control my heat and like to keep it really low to save on the bills. They finally turned the heat on last night, after I complained about it being 50F in my apartment. Detroit winters are cold. 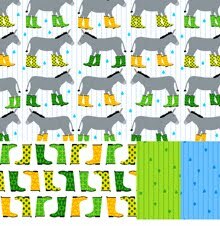 Anyway, I would love to make mini quilts with this fabric and hang them on my walls to act as makeshift and decorative insulation. Hi there - thanks for another fabulous collection! My camping tradition is to make the hubby take the kids and I stay home with a nice cosmo and get some uninterrupted sewing time! We camped when our kids were young and we had a lot of fun. One of our favorite things to do while camping was to take our board games with us and each night we would play a few games by the campfire. Thanks for the chance to win. We are 'backyard campers'...at least for now with our four little ones, so our current favorite recipe is s'mores :) Love the colors in this collection. The last (and believe me, it will be the last forever!) time I camped, it rained that hard our campsite turned into a mudbowl. Tractor trailer sized tow trucks had to come in to pull out RVs, and they got stuck in the mud. It was a nightmare. Love your fabric though. Thanks for the chance to win. we enjoy making a pot of rice, veg broth, cut up veggies, including onion and favorite spices. We put it in a pot on the fire, with a lid, and let it cook while we chat and enjoy the fire. When we plan to serve it, we stir in some shredded cheese. I love the fabric and with a grandchild on the way, if we can keep mama on bed rest for another month, I will be thrilled to use it to make fun things for my first grandchild! I'm going camping this weekend and look forward to all the different foods everyone will bring! Growing up in Southern California, my favorite "camping" memory is of sleeping in our grandparents's suburban backyard and looking at the stars. Imagine our surprise when we visitedour country cousins and saw how many stars were visible when we slept in their yard. Now I live in the country and every night, when I look at the brilliant sky, I remember being a kid sleeping on blankets on the lawn, feeling so secure because Grandpa and Grandma were watching over us from the kitchen. I'd make camping gear- towels trimmed with the fabric, shoe/clothes bags and pillow cases! Great fabric! We camped when I was little, in a cabin in the woods. The cabin had to running water or electricity. We used to go camping with my Dad when we were kids but when my younger sister was old enough to join us, she was so horrified that there was no toilet & that we'd be 'roughing it' in that way, she started crying & insisted that she wanted to go home - eventually my dad had had enough & we did return home. Your fabrics are gorgeous, thanks for the lovely giveaway. 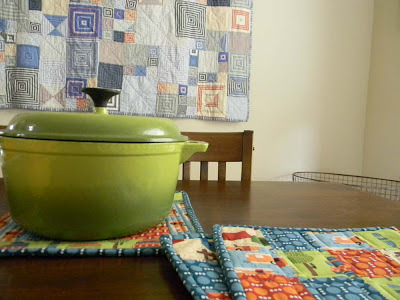 I love to make beef stroganoff in the Dutch oven! Making my stomach rumble! Your fabric is adorable! Lately all of my camping trips have involved surfing with my uni surf buddies. Lots of wetsuits and towels hanging on cars, fences and tents to dry. Last time the tent tried to blow away in the middle of the night. Twice!! Camping and cooking.... I remember teaching a culinary-challenged friend to cook eggy bread on a camping stove with the wind and drizzle of a British summer. Same trip, cooking a stir fry in the dark by the light of my trusty head torch. Damn it. Now I want to go camping! Next weekend we're off for a long surfing weekend but staying in caravans. Bit chilly for tents now! 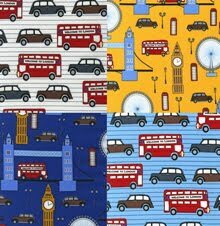 These fabrics are the best!!! They take me to my families land in Groton, VT where my mother grew up. I have 5 uncles and 2 aunts, plus there is my mother. They had no running water and my uncles all learned to hunt for their food. My grandfather was a fisherman, so he was gone most of the time. My grandmother was alone with all the children. My Aunt and Uncle now own the land and we go there throughout the summer. The little shack they lived in is still there, along with the boulder they carved their names into. The fabrics are so beautiful and I want to make a place mats with it.. I've never been camping. If I did, I would love to be by the water. 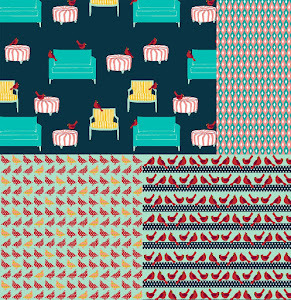 The fabrics are gorgeous; I'd love to make a picnic blanket with them! The best thing about camping is a campfire and smore's = we camp every weekend and it is so relaxing! 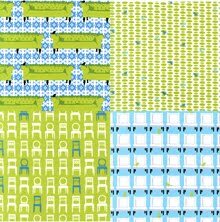 I would make a lap quilt for the chilly nights around the fire. I think I'd copy you and make some pot holders and then trim some dish towels and an apron for my camping box. We do several living history events during the year - it's totally a thrill to have something novelty to use in the camp kitchen. I never in my hole life (I'm 37) went to a camping. Never. When I was child, th scouts are rare here in Argentina, and my mother doesn't let me go for camping....Now, I have 3 children, the oldest 5 years old, Agustin, has his FIRST camping in late November....probably I'll might do his backpack!! We love to go camping. At the beginning of the year, we like to set our tent up in our yard and spend the night fireside and talk about where we would like to go camping that year. 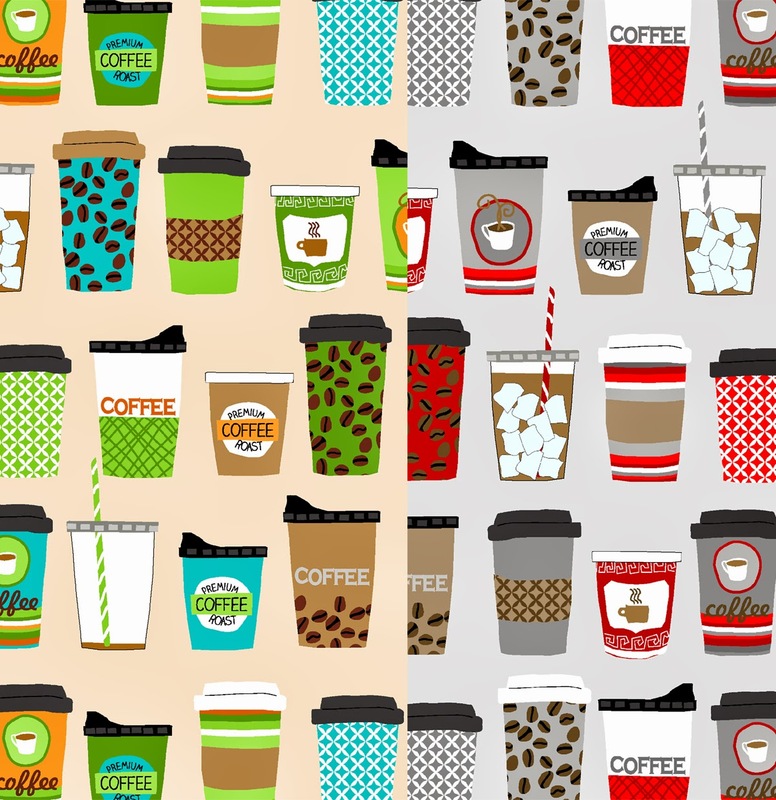 I LOVE this collection of fabric. Such GREAT colors! My adult son loves the outdoors. 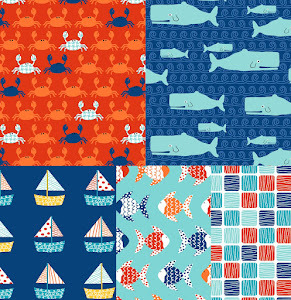 These fabrics would be lovely to make something to take along when he teaches my grandchildren how to fish! My one camping experience was in the heat of the summer when I was 8 months pregnant. For some reason it just didn't make me want to be a camper! 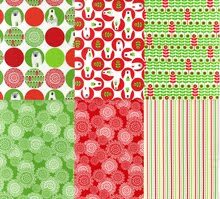 My husband's family did a lot of camping though, and I would love to use these fabrics to make things for them -- lap quilts for Christmas gifts would be perfect! My camping experience was as a Girl Scout and I loved it. I remember that was the first time we all saw a "live" armadillo and we all got out our Girl Scout pocket knives and screamed. My favorite recipe was putting meat carrots and potatoes in foil and then cooking them in hot coals dug in a pit in the ground. For some reason it tasted like the best thing that I had ever eaten! I love the fabric and thank you for the chance to win some fabric and remember a great memory! I'm past the age of camping, but we put a fire pit in down by the beach and still enjoy roasted marshmallows and s'mores when the kids come over. Great fabric! 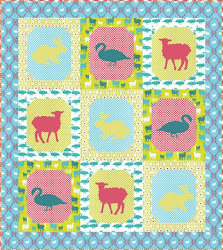 It would make a fabulous picnic quilt!! I've never been camping - but my husband keeps promising to take me. He was in boy scouts growing up, so I'd probably make a quilt for him with the fabric. Thanks! Love this material! I would make pillows for my inlaw's airstream! Last camping trip was in Canada in 1975. Time to go again. Does Some Mores count as a recipe? I'm planning for retirement in a few years and am starting the hunt for a tiny trailer for just me and maybe a friend. 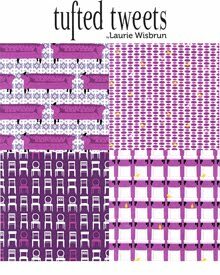 There's a group of women, "Sisters on the Fly", who have inspired me in my quest, and I know I'm going to need to NEED this fabric to beautify my traveling home! 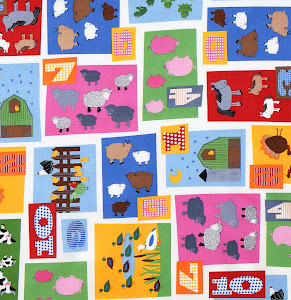 This fabric would be perfect to make a quilt for one or both on my twins. They love camping and fishing, and just being outdoors. Love the fabric and thanks for the chance to win! We camp in our small rv....I'd make a quilt to take along. Thanks for the sweet giveaway! My absolute favorite camping recipe (favorite enough that I make it at home in the oven occasionally!) is Dutch Oven Cherry Cobbler. 1 can of cherry pie filling on bottom(or 2 if you like lots of fruityness), 1 yellow cake mix dumped on top right out of the box, and a stick of butter sliced on top. Dutch oven in coals until it's golden and bubbly(about 45 min). LOVE! I haven't been camping for such a long time . When my kids were little, my hubby used to take them camping while I had the weekend to myself to potter around and do my own thing . All I remember about those weekends was missing them and feeling totally left out of the fun even though they sounded good at the time . I would love to make the Amy Butler weekender bag in a QAYG style with your lovely fabric . i love to camp...actually i USED to love to camp. then came three kids. we've gone camping with the two older ones, and it was pretty miserable. but i look forward to when they get older, and camping becomes more feasible again, because i really do love it! as far as recipes, i just really love "fancy" s'mores. we use the cinnamon graham crackers and symphony bars - you know, the ones with almonds and toffee? those two changes make such a difference! Love the trailers! We have a small vintage Shasta trailer, and it's definitely my favorite way to camp. Drive in, drop anchor, and we're all set up. 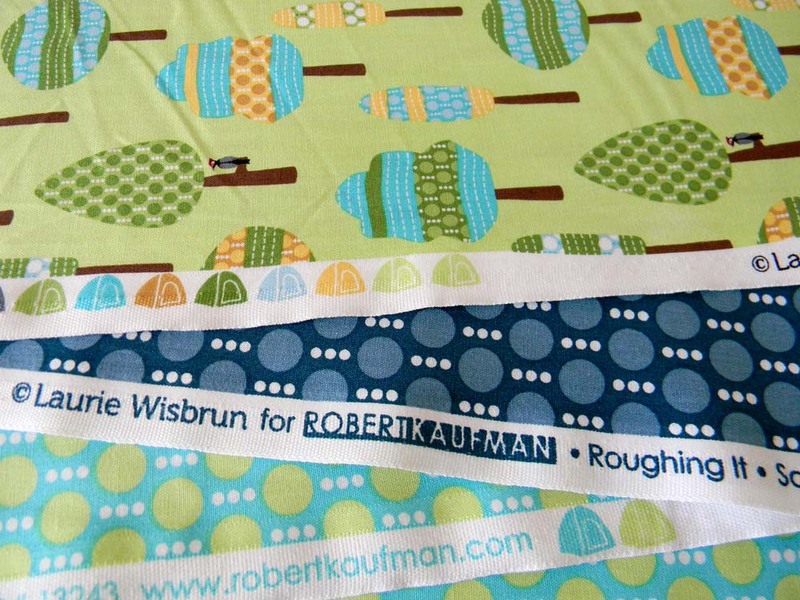 Love your Roughing It fabric line and look forward to it being in the stores! I have very fond memories of camping out with my family as a child, including one trip "out West" where we camped out in a number of our national parks! That trip we rented a pop-up camper, and we almost lost my father and brother over the side of a mountain as they attempted to set the camper up one day! Lots of travel (with my mother making sandwiches in the front seat for lunch0, but lots of fun! Camping is something I have only ever done once but my husband takes our son occasionally. My favourite bonfire food is simply marshmallows on a stick, but I also love very crispy skinned baked potatoes done in the fire. 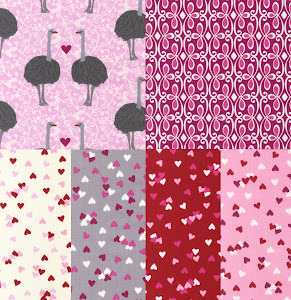 super cute fabric, thanks for the giveaway. We always make frito pie when we go camping. Yummy camping food! I haven't been camping since I was a teenager, but I have many fond memories. Especially using the outhouse with the pink and blue toilet seats at my grandpa's cabin, having to pump our own water from the well, and brushing my teeth on the porch while spitting it into a paper cup. Oh, and drinking pineapple juice and V-8 in the car on the drive up to the cabin. The design is fabulous and the colors as well! Gorgeous fabric! We used to camp every summer when I was a kid. My mom would bring yummy foods to make on the grill (like pizzas and things to bake in foil pockets), but my favorite was always just drinking a mug of hot cocoa with whipped cream on it while watching the fire crackle. I LOVE this line, it's beautiful! My favorite part of camping is of course smores. Yum! I haven't been camping since I was in high school! But I loved everything about it back then..now? too may bugs LOL!! Thanks for having such a great give away! Ripe banana in skin - length-wise, slit through skin and half way through banana. push on the 2 ends to enlarge the incision a wee bit. Fill the incision with mini-chocolate chips, mini-marshmellows, ground nuts. Push the skin back together as best you can. Wrap in foil. Put on grill cover over campfire as you eat dinner. Open the foil and squeeze the skin open again - GREAT dessert. 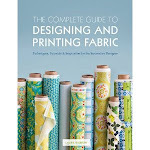 What a great give away, the fabrics are fantastic..
Oh my goodness! 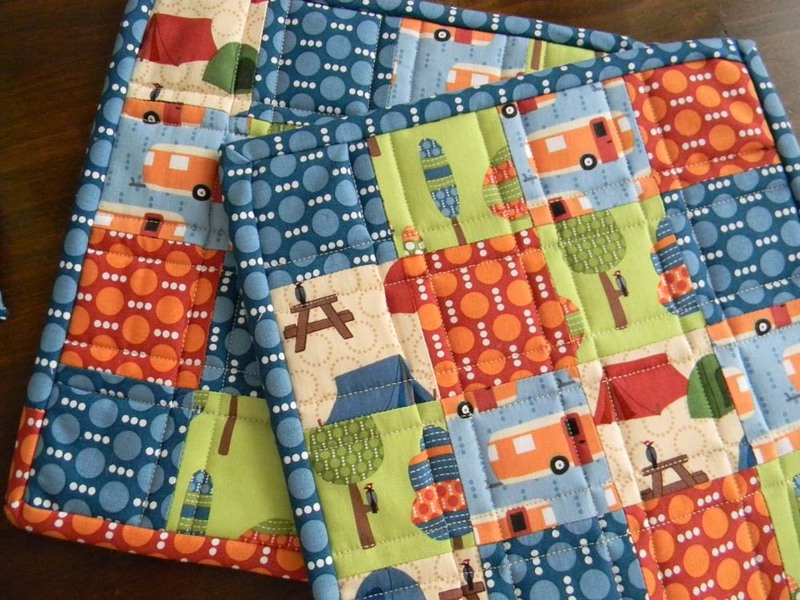 I know exactly what I would make.... A quilt for my son!!! Oh this fabric would be perfect !!! I haven't been camping since I was a kid, but kids are getting to be the right age, and they really want to go, so soon! We managed to go camping with the kids twice this summer. Once with my best friend from High School and her family (We had 6 boys under 6! - It was a blast), and once for 4 nights with Grandma. Both experiences will never be forgotten! Nothing is better than a hot dog over the fire! 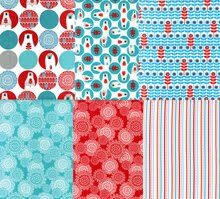 Would love to win this fabric collection to make a picnic blanket, placemats, and napkins for our camping kit!!! I love to camp but don't do it often. I need to change that! Smores are my favorite.. and also those little bread thingys that you can use to make hot pockets with pizza or dessert.. YUMMY! 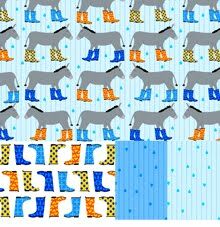 I would love to make my nephew a quilt with this fabric! We have an Airstream trailer that needs some sprucing up. 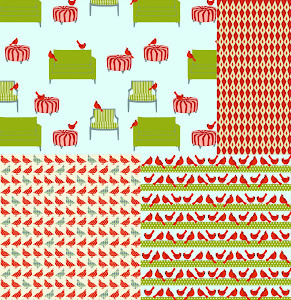 This fabric would be great for some patchwork curtains. According to my kids the requirements for camping are chocolate, an axe and fishing. Chocolate technically for smores, but really just for eating around the campfire. An axe for chopping up firewood--a favorite activity. Fishing because it's just fun to catch a fish--or at least try. We also like to throw rocks in the water--it might be called skipping rocks in some places, but mostly we just throw them. My very first camping trip was car camping when I was about 2, maybe a little younger. I didn't quite understand what it was all about. I apparently got back into my car seat and fell asleep there - I was not having any of this sleep on the ground outside stuff. Many years later, I became the biggest outdoor enthusiast in the family. I think this fabric would make a cute apron. favourite camping story...we like to go canoeing backcountry for 4 or 5 nights here in Ontario. We always make spaghetti before hand and freeze it and let it thaw as we canoe and portage in to our first night. then we thaw the steaks for the 2nd night...stirfries and let's not forget the cold beer every day. for breakfast? corn beef hash, right out of the can, fried up with eggs, potatoes and cheese. we carry a lot of food when we go out! thanks goodness we don't go for longer than 4 or 5 nights! love this fabric!! this makes me want to camping soon! one of our favorite things to make other than s'mores, were individual pineapple upsidedown cakes over coals & foil dinners! love it. Our favorite camping tradition is re-kindling the fire in the morning, piercing a smoky link with a stick and wrapping a raw crescent roll around the smoky link. Then, slow roast the whole thing over the fire for a pig in the blanket. Yum! I am going camping this weekend! I love to be outdoors with nature. My brother introduced me to camping when I was 12 in Wyoming. I was really scared when we heard something brush against the tent. He acted brave and said oh it is just a deer or antelope. Many years later he said I was just as scared as you but couldn't show it! Camping is full of adventure. Your fabric is so great to use for my grandson. He wears boxers, so that would be on my list for him. And I'm thinking of a snuggle size quilt. And, camping is not my thing. My dad decided that we were going to camp for the family vacation. (there were 7 kids in our family-but only 4 went out to the west untrained & unexperienced.) I'll leave it at that. I was a Girl Guide /Brownie camper, and this fabric takes me back - way back!! It is delightful! I've barely been camping - I'm more the cabin with personal ensuite kinda gal. At the very least ;) But school camps bring back fond memories of roasted marshmallows around the bonfire! 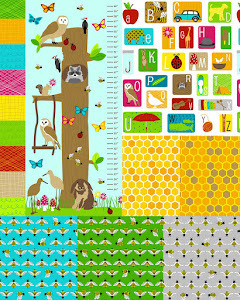 And if I won, I would totally be embroidering birds and fruits to those trees, like I mentioned on Instagram! As a kid we spent most of our summers camping with my grandparents since they were the ones who watched us while my parents worked. So although I'm not a big fan of camping as an adult I have a real soft spot for it for sure. I would make some fun accessories for our cabin trip we have planned for Thanksgiving! I love your new line and can't wait to get some. My hubby and I have always been campers - originally backpackers (we even backpacked for our honeymoon in Utah) and now we have a vintage RV that we camp in since we have two girls. 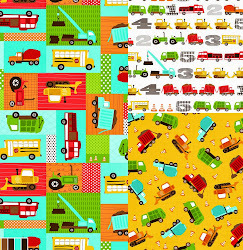 I would love to make a quilt for the trailer with this fabric!! We liked camping out in the backyard. S'mores are always a must! Thanks for the great giveaway! I like campers with wheels now, no more tents for me. Breakfast recipe: put omlette ingredients in a ziplock bag and boil it until the eggs are cooked. 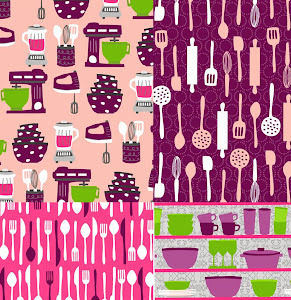 I'd like to make some camp kitchen accessories with this fabric line. Just love this fabric, so hard to find lovely outdoorsy type designs. The colours are great as well. I love it! This fabric brings back fong memories of camping as a young girl in a tent with the family. In later years, we put together our dinner of chicken wrapped in wild garlic, potatoes, carrots, spices and butter all wrapped in foil and cooked in the fire pit coals. Delicous!! My husband and I used to go camping over Memorial Day for our anniversary when we lived up North. we would sit by the fire at night, hike the paths and fish during the day. The smell of fresh coffee in the morning over an open fire along with cooking breakfast is something I will never forget. Love the fabric. My mom and dad enjoyed lots of camping since they retired, after dads sudden death, mom surprised the whole family by trading in their big camper for a small one she could handle by herself. 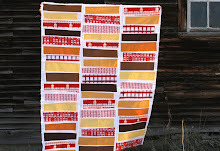 I would love to win this fabric to make her a quilt as a reminder of all the great times she and dad shared and all the great adventures that await her in the years to come. i love the tents and the campers! my husband and i made sushi when we went camping once. it was pretty awesome and i'd love to do it again. We always go camping in a tent. The kids, 4 of them, have so much fun. There is always a fire, unless it's too dry. A tradition we have is my husband does all the cooking! Then I help the kids with smores. Many times the kids end up just playing games with the marshmallows but I know sooner or later they will love them as much as I do. We camped a number of times when the kids were young...now they are all grown and have kids of their own. Only one son camps with his family and I'd love to make some camp-kitchen items for them...and a few new kitchen items for myself as well. Love the fabrics and the opportunity to win some!!!! Haven't been camping in years, but I loved cooking on a fire and just sitting around the fire and talking. my husband got for me! You can't go wrong camping near a zip line! I brought some Tufted Tweets to my Mom to make a metal frame pouch in a Sewing Summit class tomorrow. We're pumped!